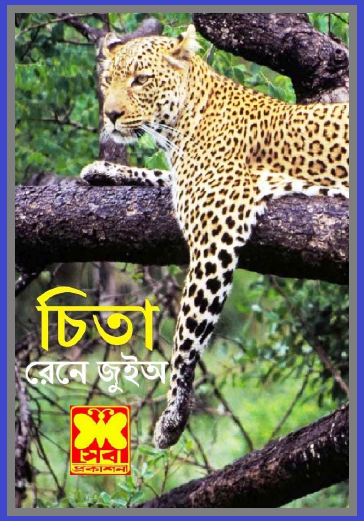 ‘Leopard’ Bangla meaning is ‘Chita’. And Kpo is the main character of this book and it(Kpo) is also a Chita or leopard. The main book name is ‘Kpo the Leopard’. ‘Kpo the Leopard’ or ‘Chita’ is an African wildlife story base book and this book was written by Rene Guillot who was born in 1900 and dead 1969 and lived, worked after all travelled in French Africa. Kpo is a girl who has his parents and they are very strong. They set initially themselves in the African Jungle. In the African Jungle, there are a lot of things happened to them. And the story moves like that. There is something happened in the jungle and that is a forest fire. Kpo and her mother escape from a forest fire to a new hunting place or ground in the Africa jungle that will be plain. If you read this story, you will find the Kpo’s adventures when she was matured into a full-grown Chita. The book Chita was published in 1955 and after published twenty years later it was included in THE HAMISH HAMILTON BOOK OF WISH ANIMALS. If you are interested to read the Bangla translated book named Chita by Rene Guillot, you are required to download it. To download the Book, you are needed to click here!